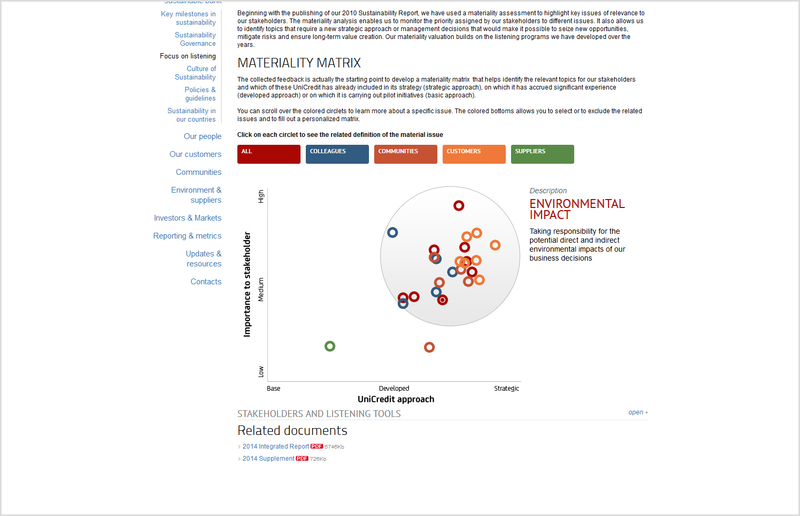 Materiality matrix becomes interactive - nexxar lab. 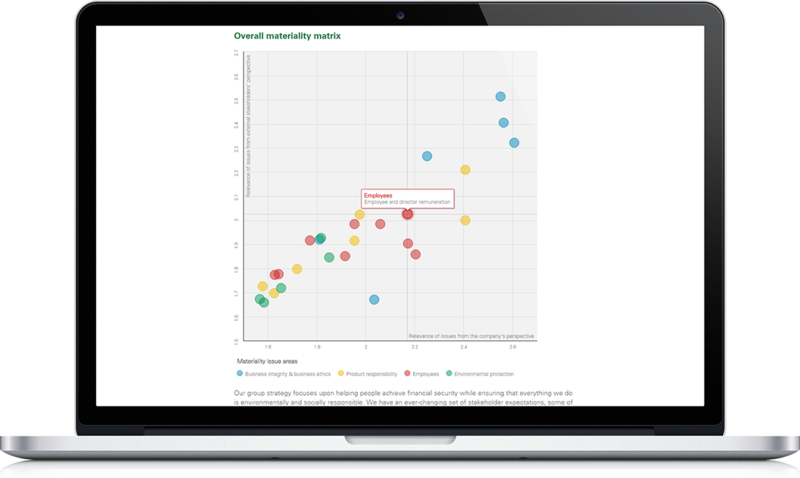 In most reports the materiality matrix is displayed as static image. However, there are certainly more appealing ways to present the topic – just take a look at the examples below. 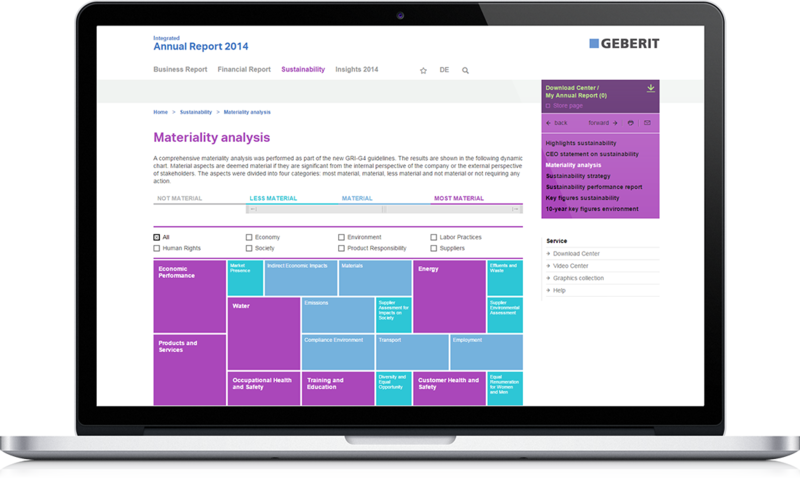 After performing a comprehensive materiality analysis the Swiss company Geberit AG processed the results in a dynamic way. The materiality matrix consists of different sized rectangular shapes in powerful colours, dividing the aspects in four categories: from “not material” to “most material”. When moving the regulator or clicking on the different graphical elements, the user is able to create various constellations – e.g. by choosing one or more categories and selecting between different aspect groups to be displayed. One click on the individual aspect will then redirect the user to a page with further description on the respective material issue. 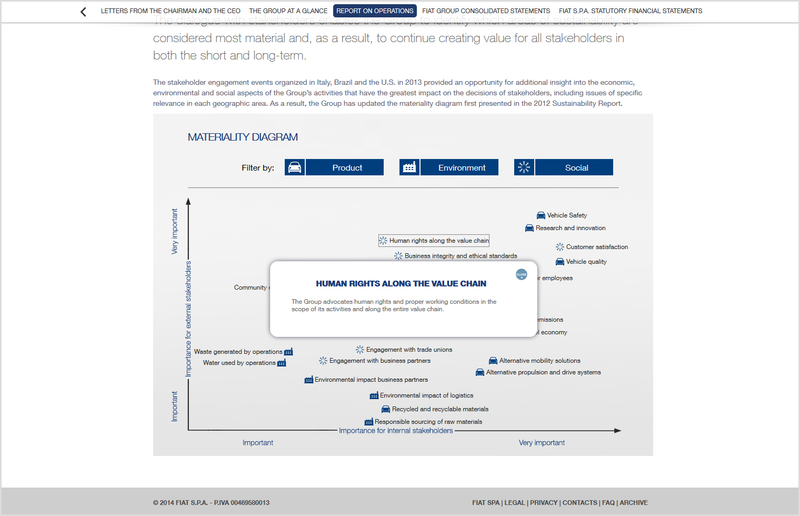 A simpler, but still interactively enhanced version of a classic materiality matrix, can be found in the Legal & General CR report 2014. 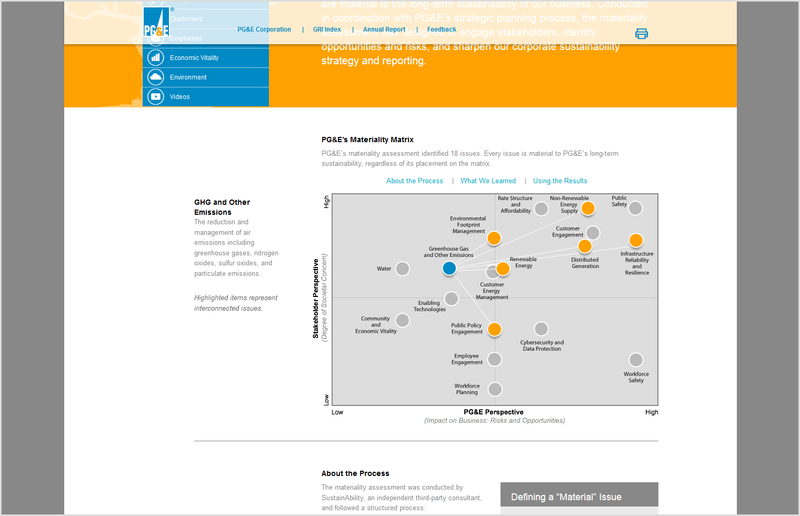 The relevance of the issues from external stakeholders’ as well as from the company’s perspective is displayed numerically on the x and y axis of the graphic. By dragging a rectangle with the mouse, the user is able to zoom into the graphic and take a closer look at the respective issue areas. In the legend below the graphic it is also possible to select/deselect one or several materiality issue areas.